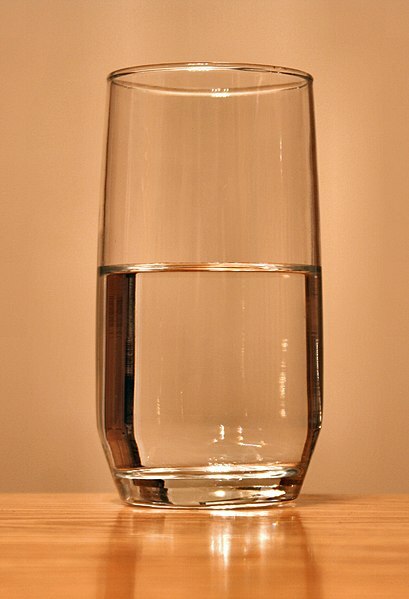 Everybody’s heard the old idiom “Is the glass half full or half empty?” Probably too many times. I’m sick of it. Optimists, on the other hand, are perceived to have rose-colored glasses. The half full/half empty analogy splits the world into equal groups. Optimists spin positively and pessimists spin negatively (or realistically, some might say). Everything is not awesome. And optimists of this type are dangerous. They over-promise and under-deliver. They are always amazed by everything, and so it’s impossible to tell what is really awesome in their view. The other type of optimist knows there are issues. They don’t have rose-colored glasses. They know where the knots are in the wood, and they don’t care. They are excited by the world, by the possibilities, but they lack the skew of awesomeness. Because pessimism is so much more acceptable, well-reasoned optimism carries the burden of proof.